FRISCO | Perry Hood Properties, Inc. 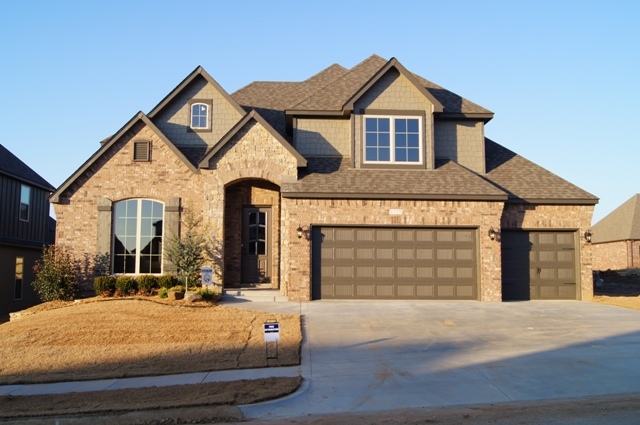 This Perry Hood Properties, Inc. 2 story floor plan has 4 bedrooms w/optional 5th bedroom, 2.5 baths and a 2 car garage with approximately 2700-2900 sq. ft. 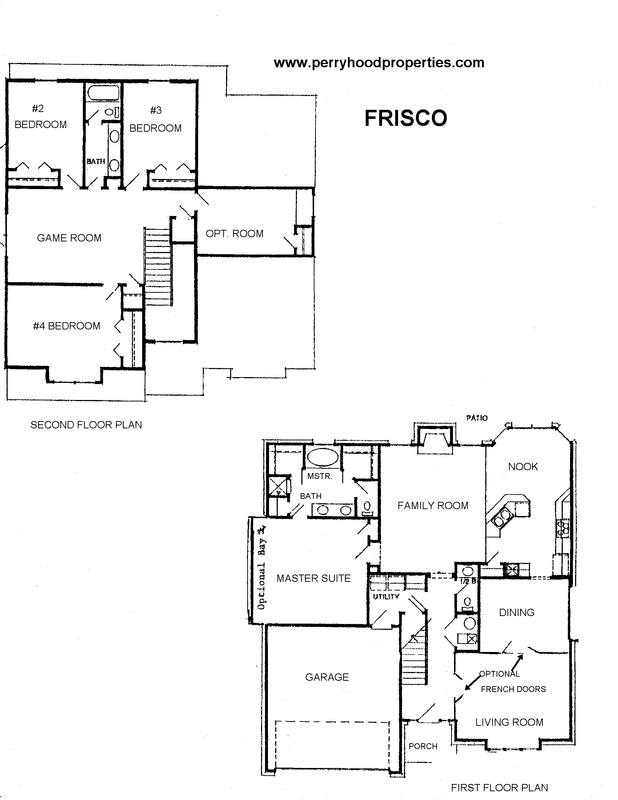 The Frisco features three living areas; a family room with wood burning fireplace, separate living room and game room upstairs. An unfinished bonus room upstairs can be 5th bedroom. The kitchen has beautiful granite countertops and stainless steel appliances with separate island and eating bar. The formal dining room, eating bar in kitchen plus the nook with covered patio access offer several dining area options. The master bath features an extra long double vanity and linen closet. Jay Rambo cabinetry is standard.